Einstime can schedule timed events such as meetings, appointments, athletic events and more. 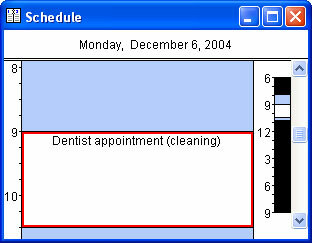 Scheduled events are displayed in the Schedule window, the calendar Day View, and optionally on the calendar Month View. 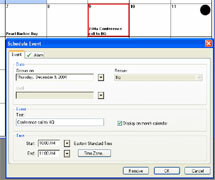 Scheduled events can be defined in the time zone they occur. Einstime automatically converts the time to your local, point-of-reference time zone WHEREVER you may be. 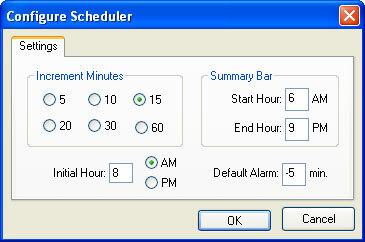 You can optionally add an alarm, with or without an audible alert.